Add the look of luxury to your home with this beautiful French style wall mirror with an ornate carved frame and gold finish. 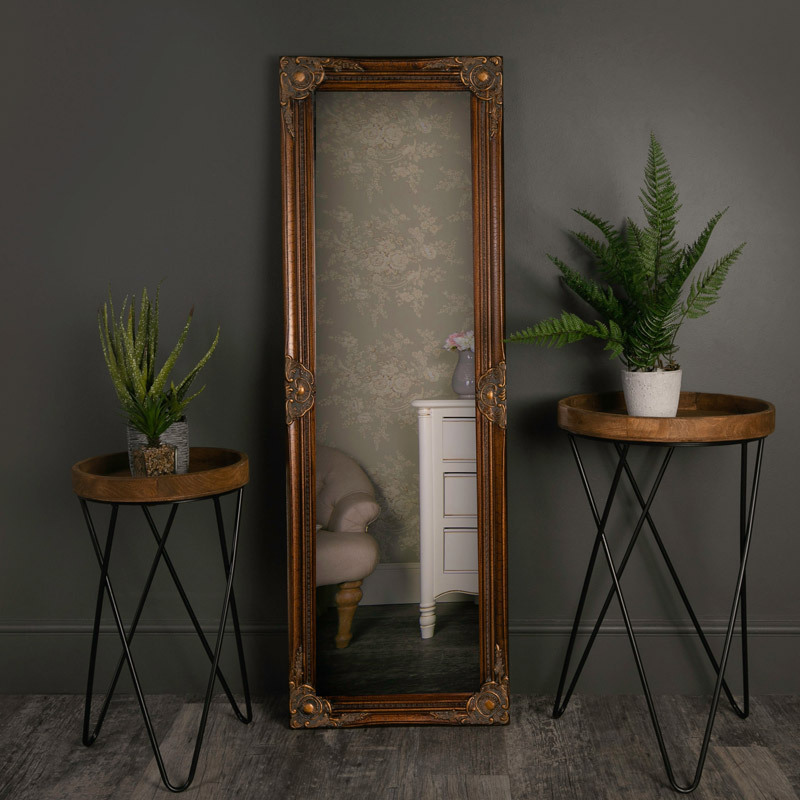 Whether placed in your bedroom, living room or hall way, this mirror will look fantastic mounted both portrait and landscape and can even be great used as a leaner mirror. The distressed gold frame really will stand out against any wall. The perfect addition to any room so you can ensure your outfit looks fabulous before leaving your home!